We’re gathering the addresses of the best B&Bs, hotels and other overnight locations we can find. All of which, we feel, are great places to go for a weekend or a bit longer. 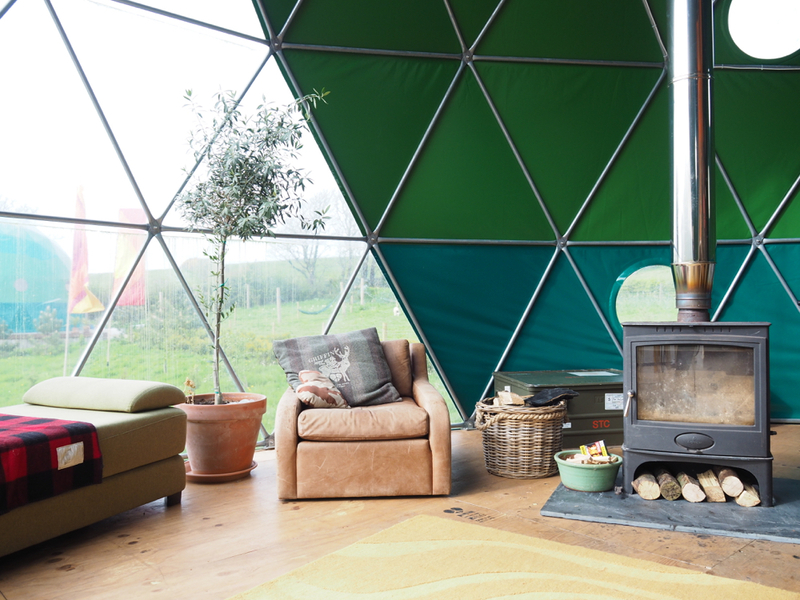 Situated on the border of Devon and Cornwall in the UK, Loveland Farm is a place where you (be it as a couple or as a family) can stay in unique little pods. What makes Loveland Farm a great place to stay? Loveland Farm can be found down a narrow country road that heads towards the Devon coastline and Hartland Point Lighthouse. The farm has five domes (or pods)—semi-circular tents with one transparent side—that accommodate either two or up to six people, depending on the size you take. Each pod also has a wood burning stove to keep warm. 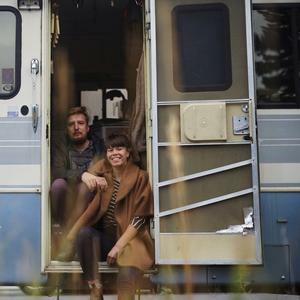 And if you can bear to drag yourself away, there’s also plenty to do in the surrounding area—just ask the owners for their tips. You make your own breakfast in your kitchen. But if you don’t fancy that, follow host Karina’s advice and head on over to the nearby Tearoom Docton Mill Gardens, where you can enjoy your first meal of the day in an idyllic garden setting, surrounded by flowers. 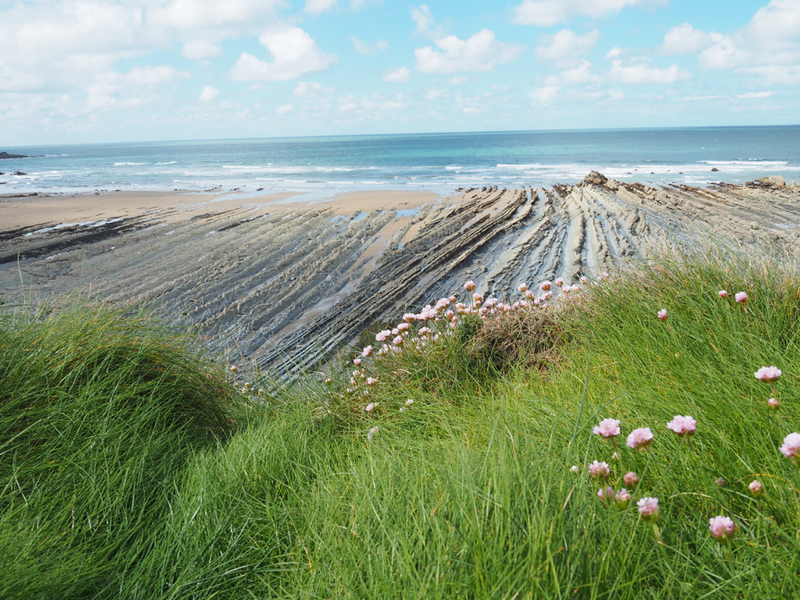 Drive south to Welcombe Mouth Beach. Although it may seem like the road stops, you can drive right down to the beach. Here you will find a beautiful bay, with a sandy beach, jagged rocks during low tide and a waterfall that flows out onto the beach. After a walk over the rocks, drive to The Old Smitty Inn for lunch, an authentic delight in the countryside. Pattard Kitchen, a Scandinavian restaurant in a rural setting, is within walking distance. Located in a converted milking parlour, it’s a veritable feast of taste explosions. 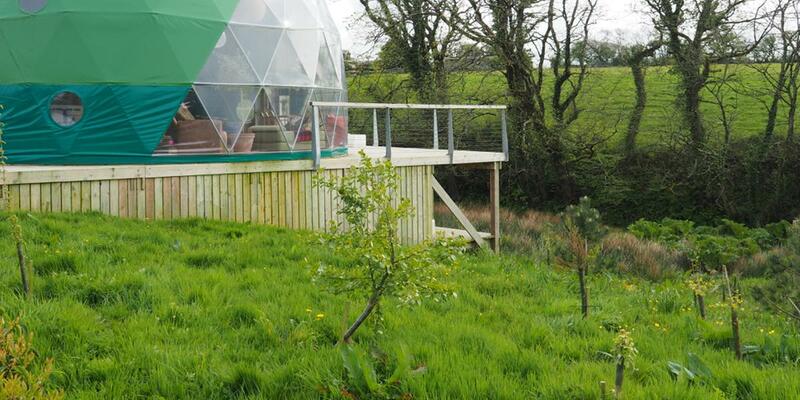 Loveland Farm has a two-night minimum stay policy, and the pods cost £150 per night.